Over the years I’ve read passages of these and other works of Confucius, but had never read the Analects from beginning to end until now. I equate this to something like a philosophical Shakespeare in the tempo of the writing – it’s scattered, abstract, and difficult to follow anything that resembles a narrative arc. One constant throughout this book however, is that it’s clearly served as a pillar upon which modern Chinese civilization has been built. The Chinese as a society subscribe to the Confucian methodology while the developed West has roots in the Socratic method of truth and justice. These are very two different approaches to life and when seeking to understand China, you cannot overlook Confucius because his life’s work is omnipresent throughout Chinese society. The Analects are said to not be authored by Confucius himself, but rather his followers over 2,000 years ago, which makes sense since the book feels like many disparate pieces have been patched together. The English translation of this book could also be a factor. The “lessons” as they’re told in the form of conversation between The Master and his followers, often including Confucius himself. Truth seekers pose questions which The Master replies to in characteristically succinct passages of abstraction. 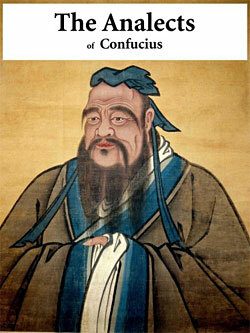 The traditional mores of Confucianism, especially obedience and subservience to authority above all, are ever-present. These are very clearly themes which translate well to modern China’s Communist leadership, as pointed out by Troy Parfitt in his book Why China Will Never Rule the World. I aspire to read this book in Chinese, but I know what a challenge that will be. While reading this I couldn’t stop thinking about how much I was losing by reading an English translation (many simple sentences in Chinese lose their meaning when translated to English, to say nothing of deep and ancient texts such as this). Although the Analects don’t constitute much of a narrative, they’re peppered with thought-provoking passages that make it worth it. Especially recommended for anyone living in China.